Okay so here’s the deal. I LOVE Revlon. I think this beauty brand is not hyped up enough by beauty bloggers sometimes, don’t get me wrong I have seen my fair share of people who also love the products but it certainly doesn’t seem to be as popular as the likes of other brands sometimes. And why the hell not I wonder, because I am just head over heels with their foundations. Recently whilst replacing the empties in my makeup bag, I decided to change it up a little and try some more Revlon products. 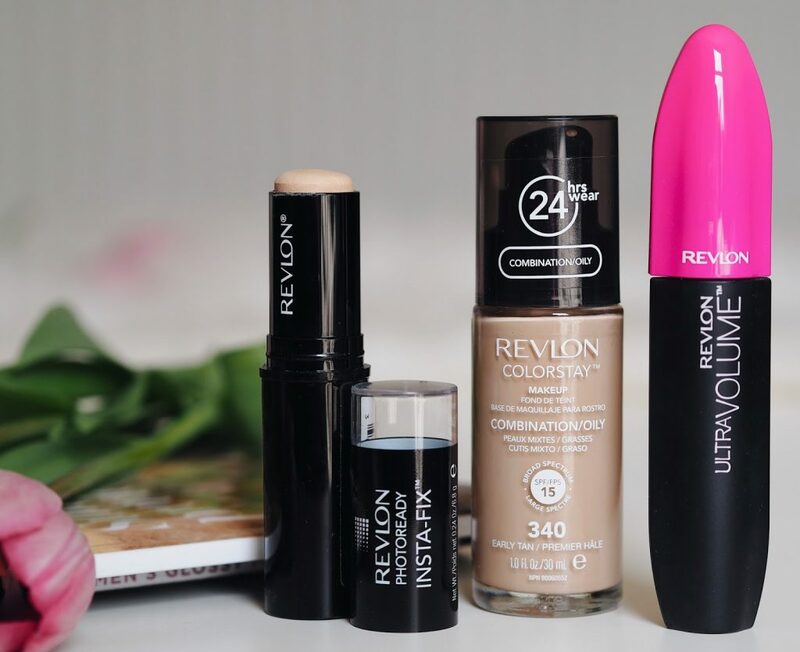 I had run out of Concealer, Mascara and Foundation so I got myself to the Revlon stand to pick up some cheeky 3 for 2 deals. I have always been a user of the Photoready Foundation which some of you may have noticed over on my instagram. However sometimes I felt that with that foundation the coverage was a bit too thick for the warmer days of Spring and Summer. I picked up the Colorstay Foundation as I could see that it described itself as having a buildable formula which I thought would be more suitable for my needs. Great for a natural complexion during the day but also can be built up if I desire a more thick coverage (which I definitely love for glam makeup looks). The product does exactly that and I am so pleased I tried it. During the day I can achieve a nice dewy look which isn’t too heavy however in the evening if I want a fuller look I can just build up the coverage. Next up is their Photoready Insta Fix concealer which is new to their beauty range. I find myself quite stingy with concealer and though I love doing a bit of contouring I hate doing too much as I don’t want to use up all of my concealer within a week. This is perfect for me as it’s a large chubby stick and I can use plenty of it without having to worry about running out quickly. I like to use this for contouring as you can literally draw in where you want to highlight those areas. This is great for ease of use the only downside I would say is that it lacks as full a coverage as my usual favourite, the NYX HD Photo Ready. Finally we have the Ultra Volume Mascara. To be honest I wasn’t fussed at first about buying this because the packaging is a bit blah, but as that saying goes – don’t judge a book by it’s cover! So I popped this in my basket and I was pleasantly surprised. It’s not the best mascara I’ve ever tried but it certainly does the job. It gives my lashes plenty of definition and lots of volume too which is what I want but sometimes it can be a tad clumpy when applying a second coat. I probably won’t buy it again if I’m honest but I am happy enough to use it now until it runs out! Has anyone else tried any of these products? What are your thoughts? "5 TIPS FOR BALANCING YOUR SOCIAL LIFE, A FULL TIME JOB AND A BLOG"
"TAKING A BREAK FROM THE DIGITAL WORLD"